Okay, I'm really excited about sharing this with you guys. 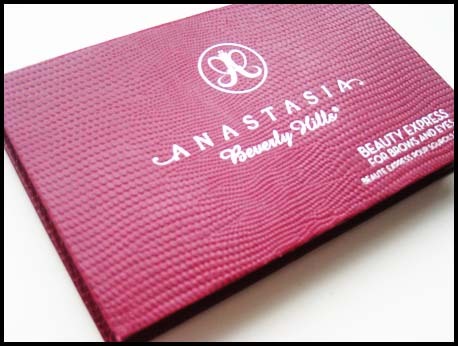 Anastasia Beverly Hills is a name synonymous with polished, groomed brows. The brand, founded by expert brow-groomer and salon-owner Anastasia Soare, has released smash hit products designed to style, groom, and perfect brows, for those of us who don't do weekly salon visits for brow styling and upkeep. 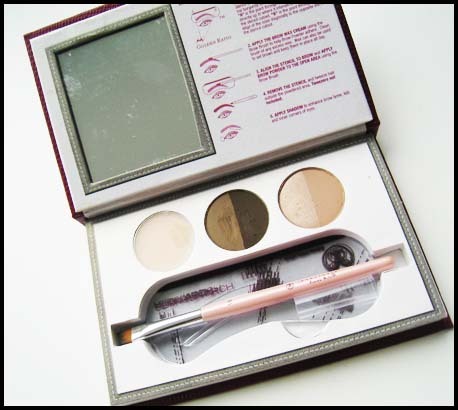 One such product is the Beauty Express Kit for Brows and Eyes. The kit comes in a gorgeous faux-snakeskin case with magnetic closure. 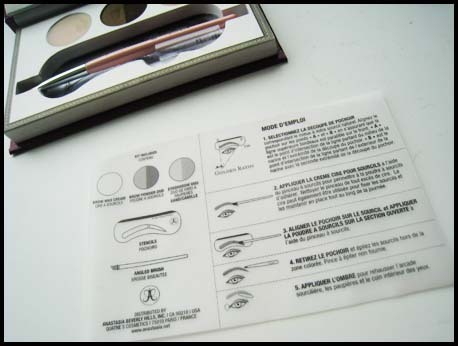 Inside, you find a treasure chest of products, including a brow wax, two brow shades, and two eyeshadow colours. 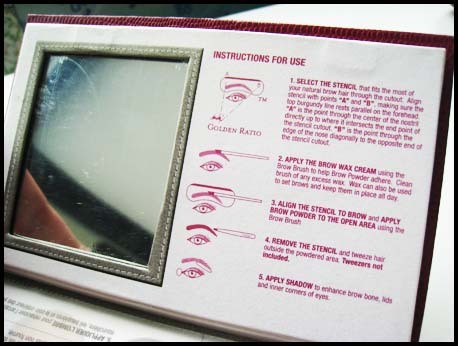 You'll also find helpful tips and instructions for use, which is great for people who aren't familiar with brow-grooming. 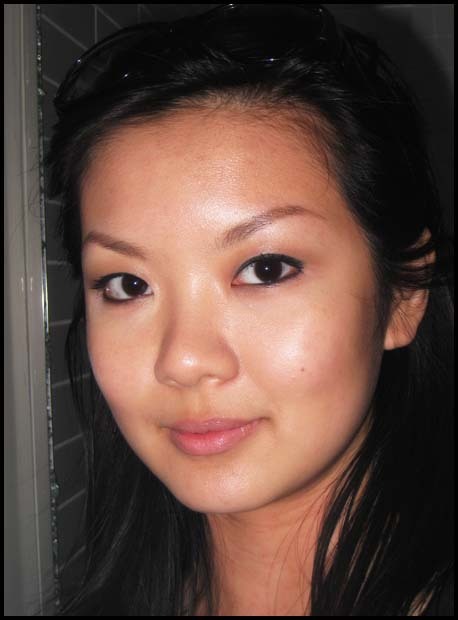 The two eyeshadow colours, one shimmery and one matte, are perfect for accentuating and highlighting where you need it. I use the shimmery eyeshadow underneath my brows and in the inner corners of my eyes, and the matte one I use in the crease as a subtle contour. You also get an angled brow brush, which picks up and delivers the product beautifully. I usually throw away brushes that I get in palettes and kits such as this one, but I find that this brush works better than any other eyebrow brush I have. Adding to the awesomeness of this kit are the eyebrow stencils - in a plethora of different shapes to suit everyone's preferences. 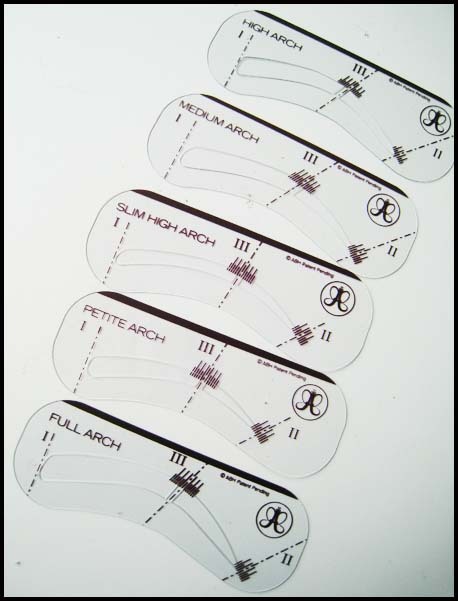 These are made of a rubbery material, so they bend easily, which helps when you're trying to get the stencil to stay put so you can apply the eyebrow powder. I had stencils made of other material that just refuse to stay put or bend, so I always get eyebrow powder where I'm not supposed to have eyebrow powder. The kit retails for USD 39.50 here, and I think it would make an amazing addition to your beauty wardrobe, or the perfect Christmas gift to a beauty-lover. Here are some pictures of my brows, done using the Anastasia Beverly Hills Beauty Express for Brows and Eyes. These were taken after a slightly drizzly morning and a hot, sweltering afternoon out, so I can vouch for the lasting power on these eyebrow powders as well!